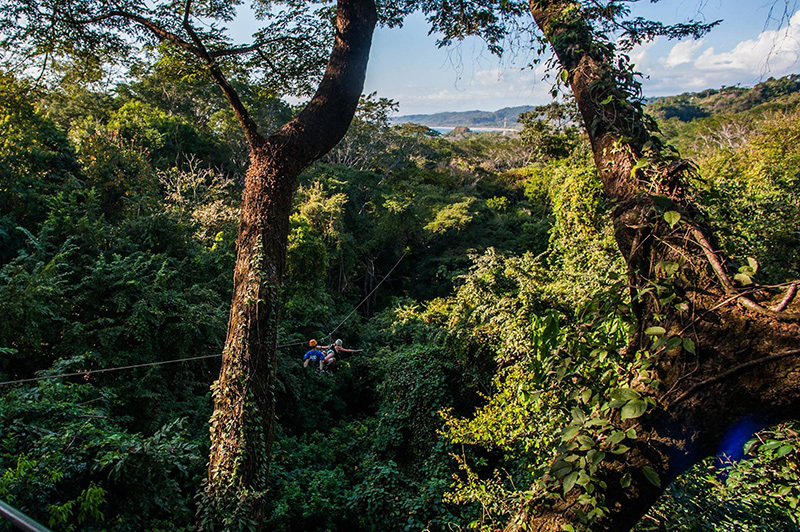 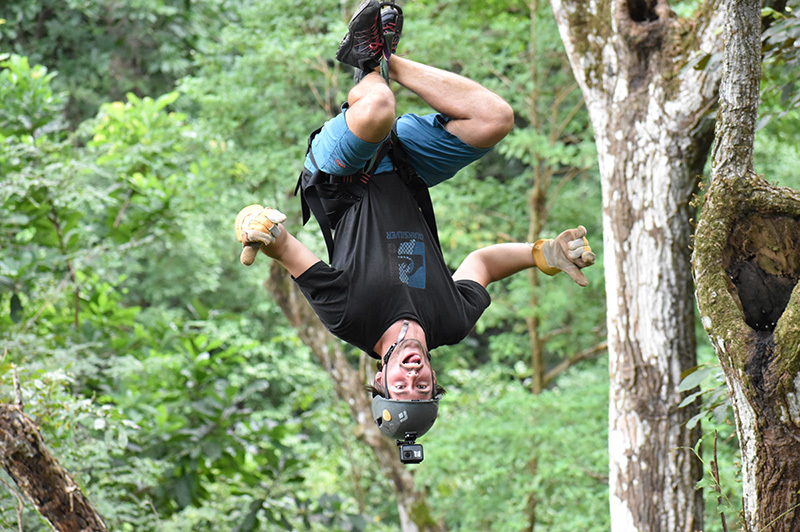 The Mal Pais Canopy Tour is based in the quiet village of Malpais, on a farm with more than 200 different tree species, at the entrance of the Cabo Blanco Absolute Nature Reserve. 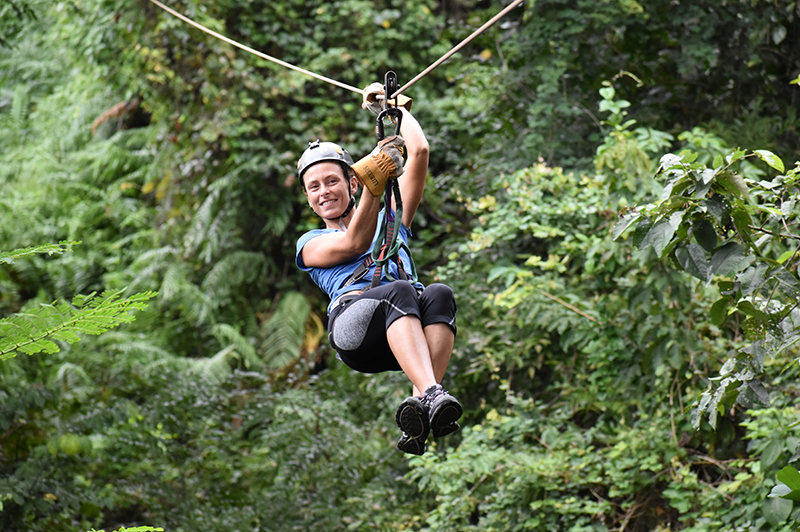 The whole area is surrounded by rich tropical forest and diverse wildlife as well as many birds. 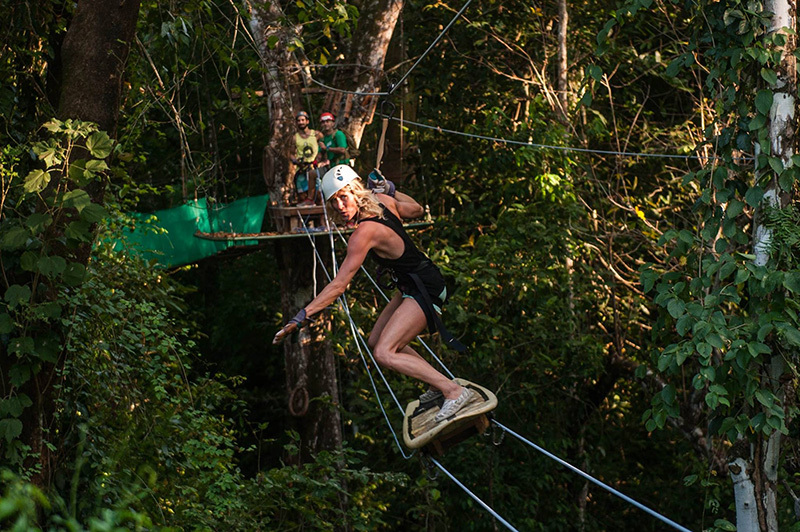 Come and journey through the treetops, enjoying the tropical forest while the Pacific Ocean lies below you. 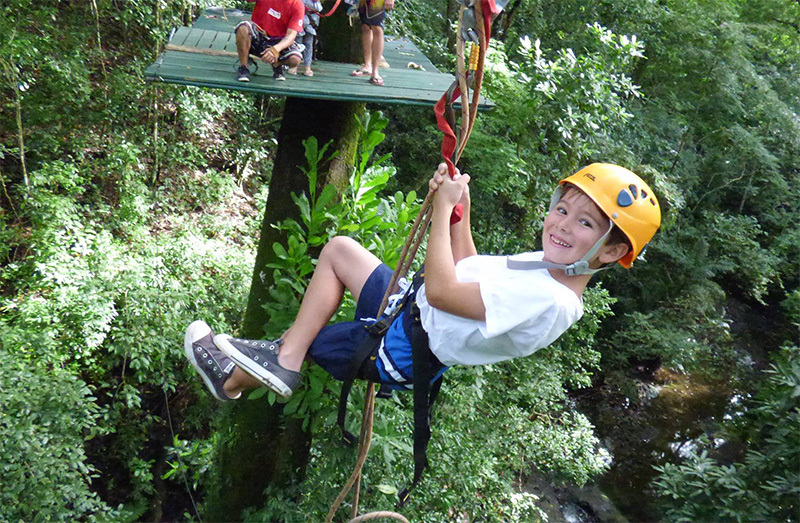 The exciting canopy ride is nearly a mile long and has 11 platforms set high in the gigantic trees. 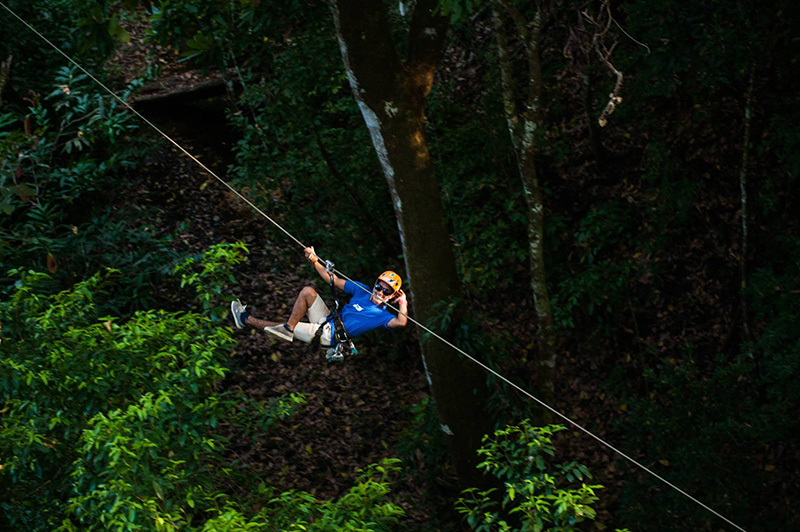 Steel cables connect the platforms which are between 5 and 30 meters in height. 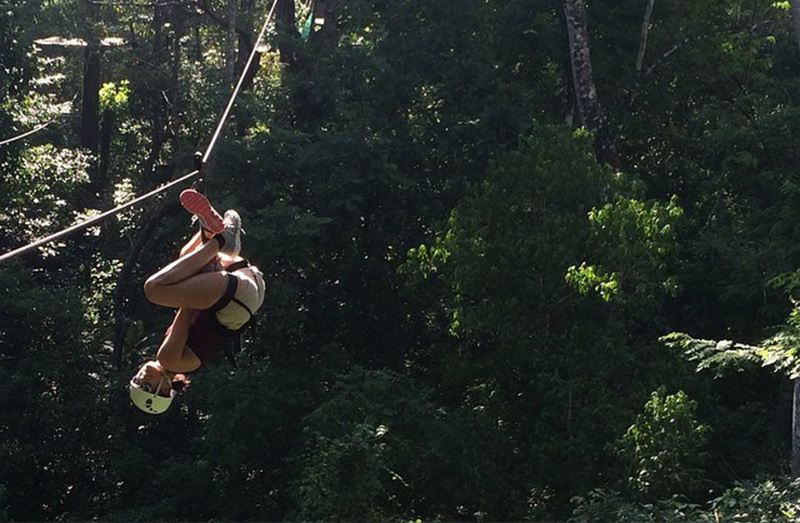 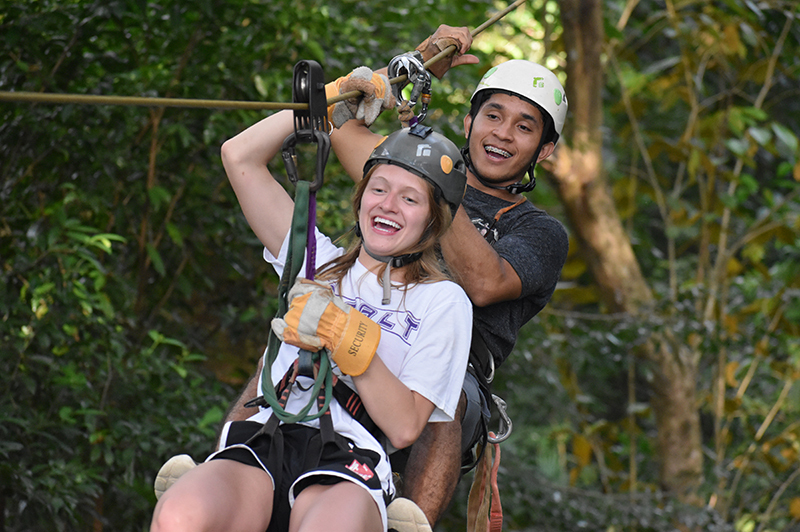 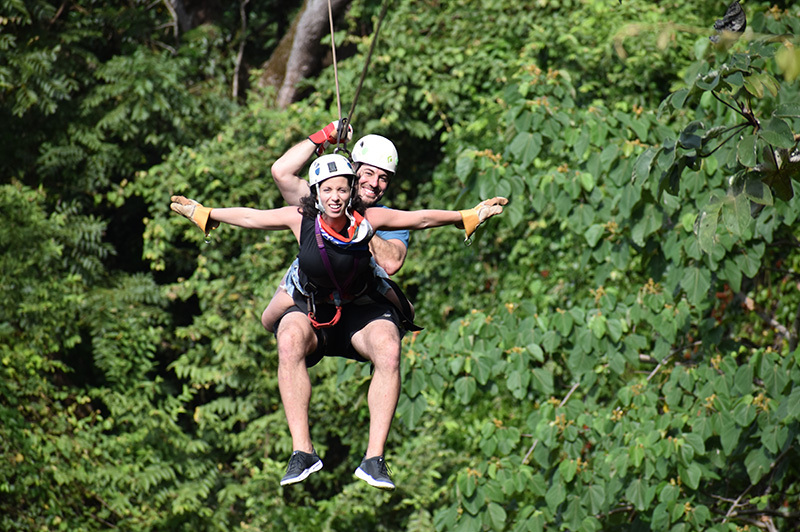 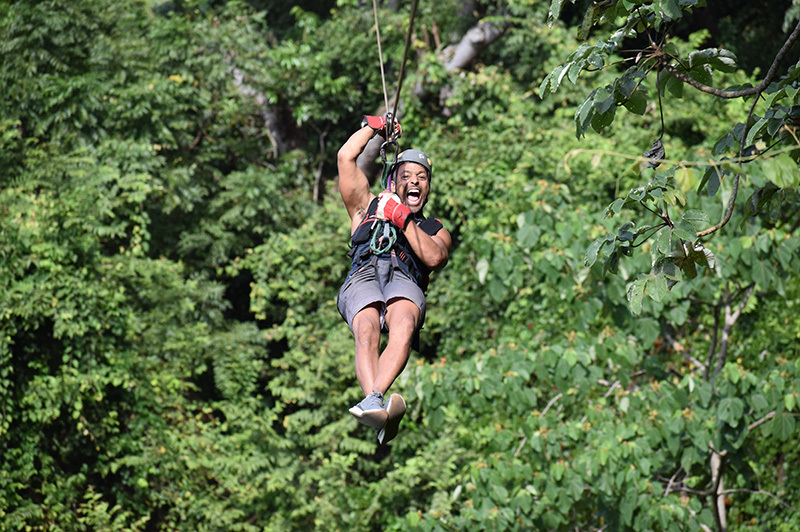 You will not forget the experience of flying along our 300 meters long shot over a canyon between the second and the third platform, or the incredible 500 meters long ride through the jungle along a creek. 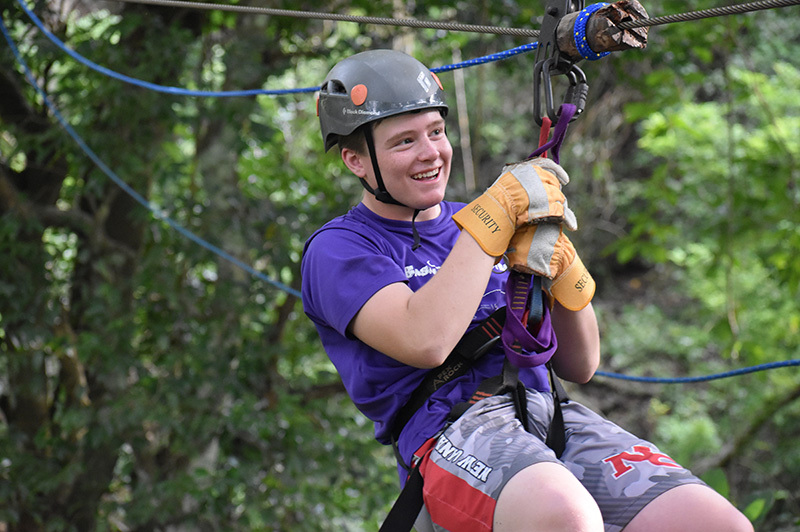 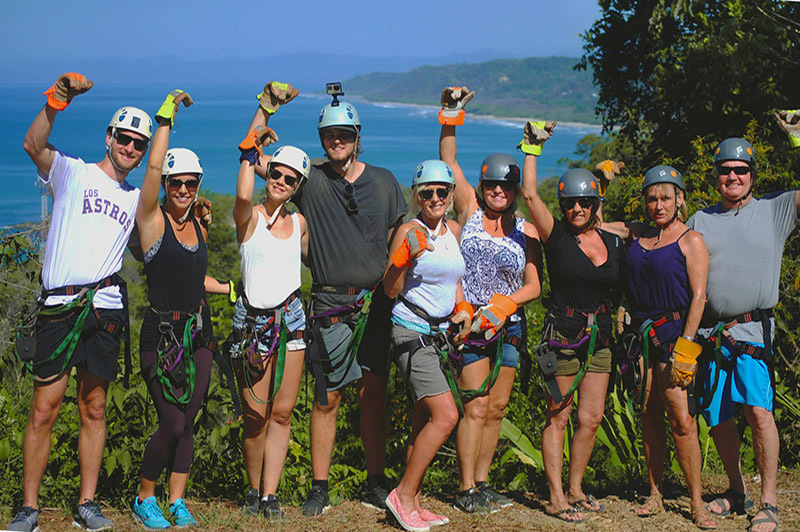 This Canopy Tour in Costa Rica have professional nature guides that will accompany you on the unforgettable journey through the biodiversity of the environment. 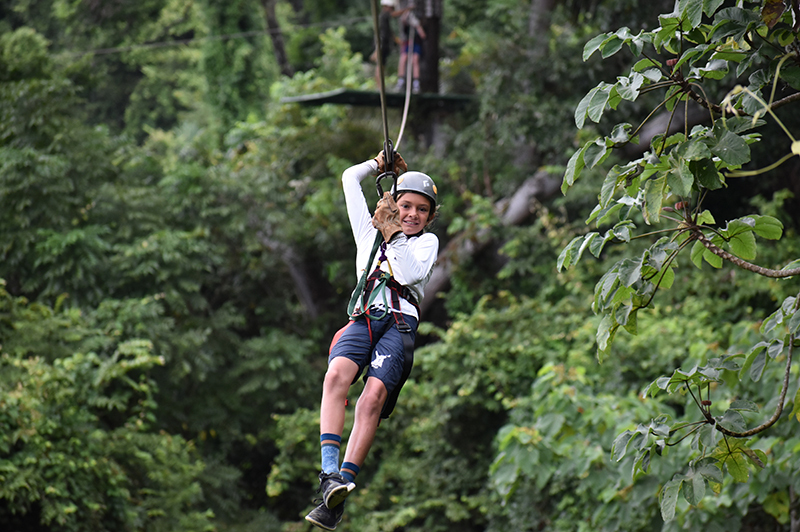 They will introduce you to the fascinating secrets of the forest.Following the strictest safety norms, you will enjoy thrilling views of the Pacific Ocean and of the forest from many different perspectives. 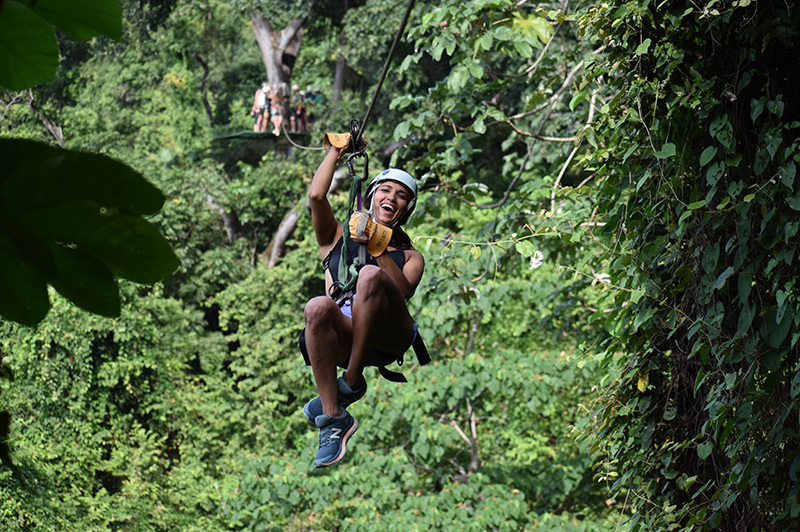 Duration: About 2 hours. 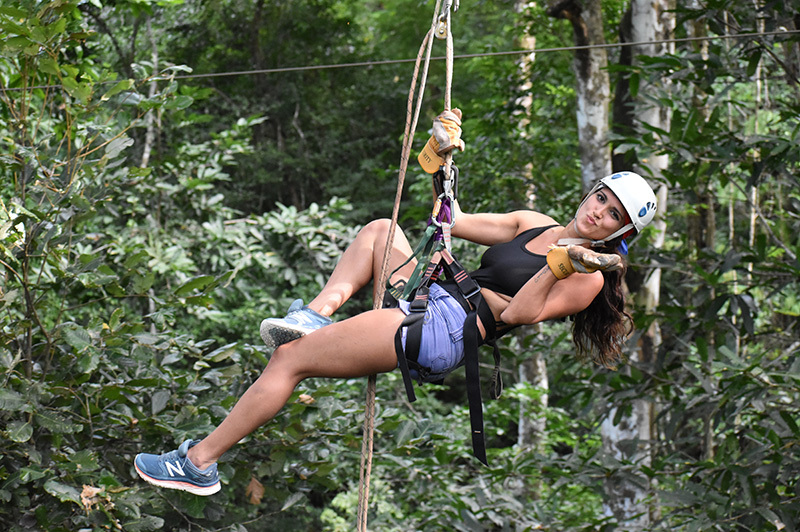 Cost: $50, Transportation to/from the hotels of the area is available ($10.00 round trip).